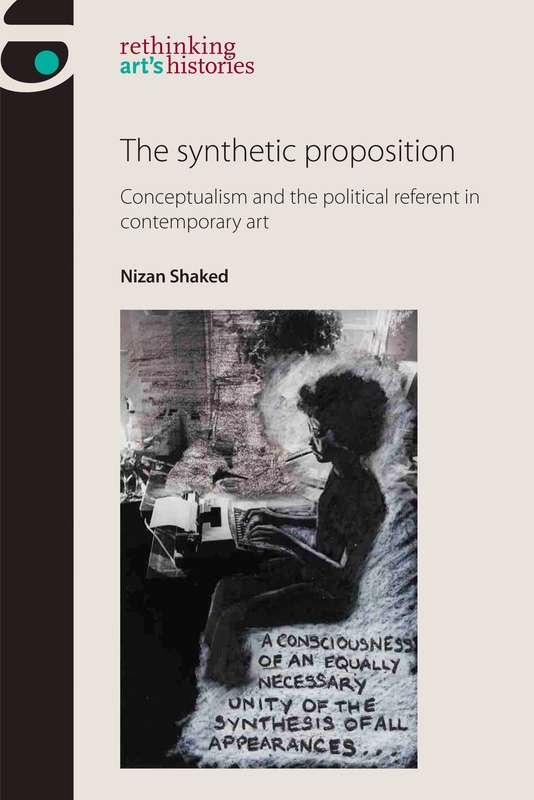 Artist Mary Kelly and Nizan Shaked, author of The Synthetic Proposition: Conceptualism and the Political Referent in contemporary art, will be in Conversation on 15th April at the University Art Museum, CSU Long Beach, to celebrate its release last year. The book examines the impact of Civil Rights, Black Power, the student, feminist and sexual-liberty movements on conceptualism and its legacies in the United States between the late 1960s and the 1990s. Shaked demonstrates that while identity-based strategies were particular, their impact spread far beyond the individuals or communities that originated them. It offers a study of Adrian Piper, David Hammons, Renée Green, Mary Kelly, Martha Rosler, Silvia Kolbowski, Daniel Joseph Martinez, Lorna Simpson, H ans Haacke, Andrea Fraser and Charles Gaines. By turning to social issues, these artists analyzed the conventions of language, photography, moving image, installation and display. This event occurs on the final day of the exhibition Robert Irwin: Site Determined. Celebrate this acclaimed exhibition while enjoying the launch event for a new book. More details on attending the event can be found here. Mary Kelly is Judge Widney Professor in the Roski School of Art and Design at the University of Southern California. She is known for project-based work that addresses questions of sexuality, identity and memory in the form of large-scale narrative installations. Exhibitions include retrospectives at Moderna Museet, Stockholm, (2010) Whitworth Art Gallery, Manchester, (2011), and Centre for Contemporary Art, Warsaw, (2008), as well as representation in the 2004 Whitney Biennial, the 2008 Biennale of Sydney, and Documenta 12. Major publications include Post-Partum Document, (1983), Imaging Desire, (1996), Rereading Post-Partum Document, (1999), and Dialogue, (2011). She is a recipient of the John Simon Guggenheim Memorial Foundation Fellowship, (2015). Dr. Nizan Shaked is Professor of Contemporary Art History, Museum and Curatorial Studies at California State University Long Beach, where she heads the Museum Studies Track in Art History. She has contributed critical and art historical writing to publications with the Museum of Modern Art (New York), Oxford University Press, Verlag für Moderne Kunst, and Phaidon as well as reviews and articles for Historical Materialism, Art and Education, American Quarterly, Journal of Curatorial Studies, Counterpunch, Afterall, and X-TRA Contemporary Art Quarterly, where she has been a member of the editorial board since 2008. Shaked’s curatorial projects include Fetish: Art/Word at the UCLA Fowler Museum of Cultural History (2002), Symmetry (with Kimberli Meyer 2006) at the MAK Center for Art and Architecture (2006), and How Many Billboards? Art Instead (with Kimberli Meyer, Lisa Henry and Gloria Sutton in 2010), which received an Emily Hall Tremaine Exhibition Award. Shaked was a DAAD research fellow in 2012. Her book The Synthetic Proposition: Conceptualism and the Political Referent in Contemporary Art (Manchester University Press, 2017) is a 2015 recipient of the Wyeth Foundation College Art Association Publication Award. Her book Museums, the Public, and the Value of Art: The Political Economy of Contemporary Art Collections, is forthcoming, with Bloomsbury Academic, London.